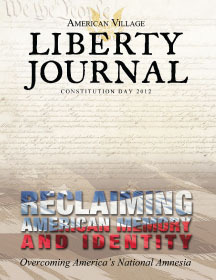 On September 17, 2012 our Nation celebrated the 225th anniversary of the Constitution. The Constitution unites us to “form a more perfect Union” and to “secure the blessings of liberty” for ourselves and our posterity. The truth is: liberty is hard work, and it’s our work right now! George Washington said that American liberty and self-government was an “experiment” in the hands of the American people. Here in this unique classroom laboratory, that experiment is tested anew every day. In just thirteen years the American Village has demonstrated to the Nation new ways to connect young people with the stories of America. Here, students “step into the scenes” of American history and become first-hand participants – declaring independence, winning the Revolution, writing the Constitution, and building a great Nation. They discover that history is not a dull set of facts, but rather the stories of real people, who faced choices, and took risks and made sacrifices for liberty. The American Village is helping keep the Republic by preparing young people for one of the most important jobs they will ever have: citizens in our great country. These young people will lead and serve America and you are helping inspire them to do their best. 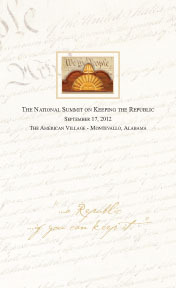 The American Village needs your help to keep the Republic. 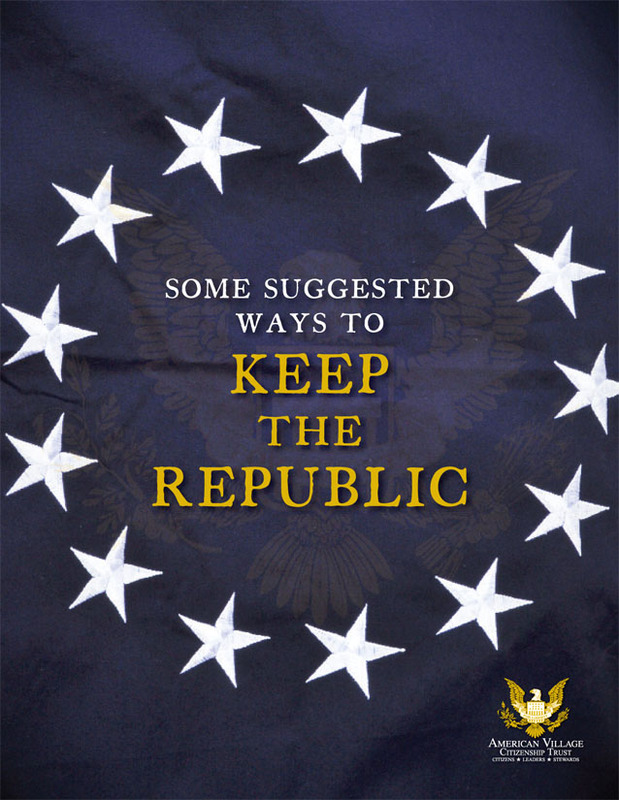 Citizens, leaders, and stewards: all are called to keep the Republic.